The Abridged: Known as the “Grande Dame of Calcutta” this iconic hotel, dating back to the 1880’s, is located in what was the heart of British India. Aside from a few mod-cons, little seems to have changed. Colonial charm still perforates every inch of this property and the at times ‘Fawlty Towers’ service only adds to the poeticism. From the moment you enter its gilded gates (complete with fleet of bright yellow Ambassador taxis awaiting outside) guests time-travel to a bygone era. Having been greeted by a team of staff at the door, complete with white gloves and shiny gold buttons, you will be whisked through reception, with its grandiose flower arrangements and ornate chandeliers. Not to mention that grand piano. Some might find the décor a little tired (the carpets could do with replacing) but overall this adds to the charm of this relic of a hotel. With classic green marble or wood-clad bathrooms, polished wood furnishings, artwork depicting a historic Calcutta and antique light and socket fittings the hotel evokes pangs of nostalgia at every turn. Complimentary Forest Essentials toiletries are included as standard and the best rooms feature pool views. Breakfast is not included in the room rate and at hefty price per head I would say it’s not worth the average fare – especially with so many great dining options on nearby Park Street. Baan Thai restaurant is worth investigating, however a G&T in one of the Peacock chairs by the pool is an absolute must. Oberoi’s spas are always worth a visit and this is no exception. Classic treatment rooms, a steam room and sauna plus a slightly old fashioned gym. 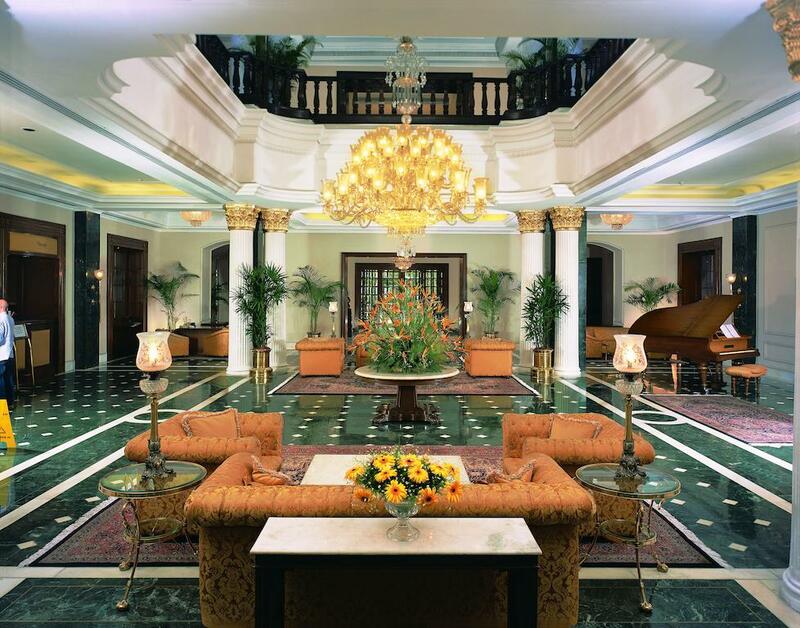 A historic stay right in the heart of Kolkata. Wi-Fi: Yes, should be better. Pet Friendly: No.